As massage therapists, we’re often tempted to categorize clients according to conditions, applying the same condition-based contraindications to every client in that category. This approach can lead to an overly restrictive massage, dissatisfied clients, and a dwindling practice. Or it can lead to overly vigorous work, with potentially dangerous implications for the health of the client and our liability as practitioners. Almost always, condition-based contraindications prevent us from integrating our training, experience, and intuition most effectively. help therapists adapt their work to any situation. Based on a client’s answers and an understanding of how massage therapy can interact with the condition, the therapist chooses safe and effective positioning, pressure, and movements. 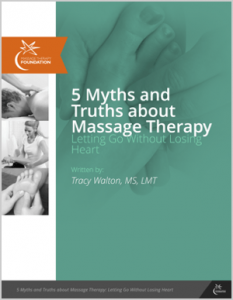 Keeping the client at the heart of the discussion, MCMT also provides a clear overview of current research on massage and specific conditions to give massage therapists a better professional context. Understanding what is actually known about the benefits (and contraindications) of massage prepares therapists to communicate thoughtfully and accurately with clients and other health care practitioners. 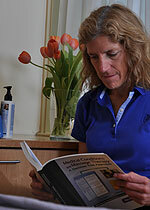 It allows practitioners to integrate knowledge from solid research evidence with the real testimonials of our clients. 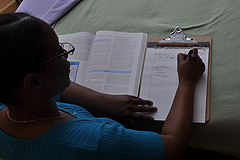 MCMT connects research to practice. It can also help in shaping the policies and procedures for any setting: private practice, spa, franchise, etc. By understanding how to adjust and adapt massage therapy to serve clients facing disease and injury, therapists can practice more safely and confidently. This reduces liability and increases effectiveness with a wider range of clients. In a rapidly changing world, with a population living longer with challenging medical conditions, massage therapists can build and sustain their practices. They can serve clients with care and skill, even as clients’ needs become more complex. Click on the cover to purchase through Amazon (affiliate link – Amazon sends us a small thank you).